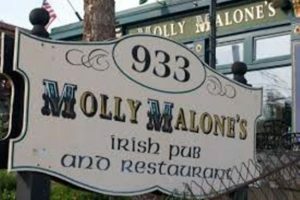 Join members at Molly Malone’s Highlands, 933 Baxter Ave, Louisville, KY 40204, beginning at 5:30 p.m. on Friday, April 6th. Enjoy a meal and the Society benefits by receiving 10% of sales. ONLY 30 SEATS AVAILABLE FOR GROUP SEATING – FIRST COME, FIRST SERVED. No reservations required if you plan to drop in for dinner at a time of your choice. Just tell your server you are with the Society so it benefits from your attendance! RSVP to our Regional Celtic Commissioner, Robbin Goodin! 22 – 7 p.m. Regular Meeting. Corsons – Scottish Country Dancing. 26 – 6 p.m. Burns Gala Dinner at Woodhaven C.C. 5/31 – 6/2 Glasgow Scottish Games- Barren River State Park. Volunteer! Kirking Of The Tartans – Want One? Copyright © 2019 Scottish Society of Louisville.